Enjoy the powerful energy of these amazing crystals, which have a high vibrational frequency that enhances spirituality & psychic awareness. 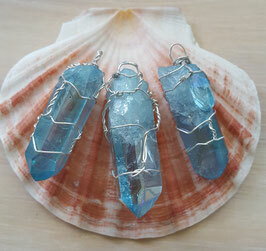 This crystal is also known to attract abundance & success. 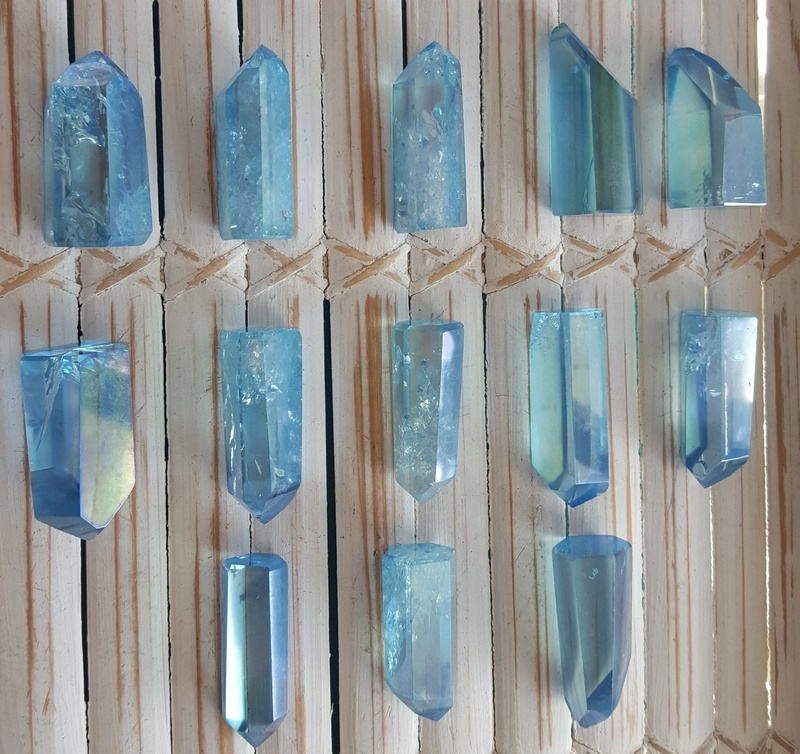 The amazing colour of Aqua Aura crystals is a result of clear quartz being coated in 14kt gold & this synergy actually enhances the metaphysical properties of the quartz. The polished crystal points vary in size & shape, as per image, & are about 4 to 4.5cm long by 1.5 to 2cm wide. If you have a preference for a more slender or more chunky stone, please leave a note at checkout. The vegan cord is 85cm long & the length can be adjusted to suit. Choose from tan or natural cord.